We are a mother and daughter team. Mum (Lindy) is the maker and I (Miranda) help her out with our website/ social media and markets! We love the EPM because of the laid back and friendly vibes. 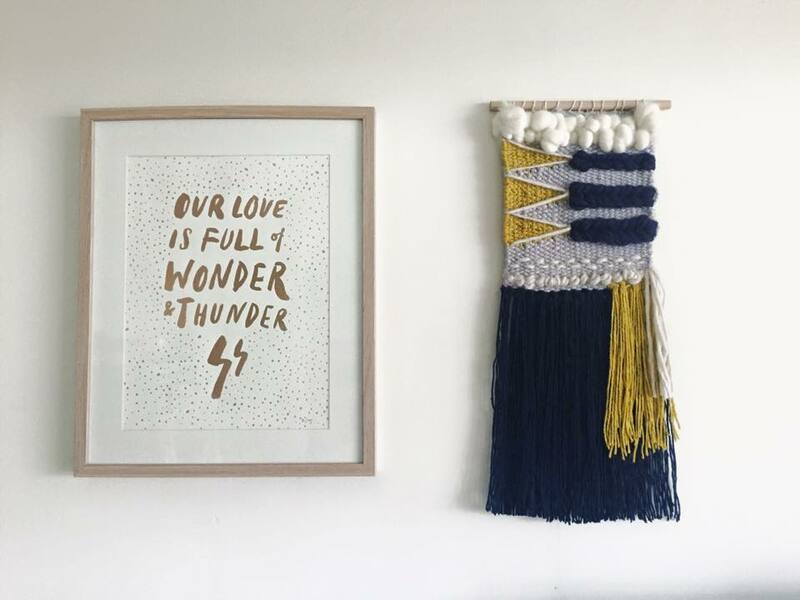 We sell handmade Macramé homewares! When did you first know you wanted to be creative? Mum has been creative for forever! One day she started making Macramé Plant hangers for our friends and family and I thought people would love these, why not start a business! Mum never stops, she's always busy designing and creating! Mine would be paddle boarding at our local beach and I'm sure mum' would be some gardening and time spent in her studio creating! What is your best ever creative moment? Lately it would probably be creating things for the baby's room! I drew a mobile and mum made it come to life! That's a hard one! Sometimes our creations don't work out the way they were imagined, but we just keep moving on! What's the scariest movie you have ever seen? Believe in yourself and work hard for what you want! What's your favourite tunes to get you in the creative mood? What do you love most about the EPM? The scenery, the atmosphere, the people, THE FOOD! Hopefully still growing, changing and evolving! Meet the mother and daughter macrame team behind Emerson Ave! We have so many gorgeous stallholders at the #EPM but none have been through quite a journey like Lil's Yolky Dokey Eggs. I paint and create to bring joy, laughter and smiles to those who see my work. I make Art Prints, Greeting Cards, Character Cushions and Pencil cases from my original illustrations.